Here is a list of sites that eCOGRA has suspended their seal on. It is sad that some sites have their seal removed. But this is necessary for the players safety. 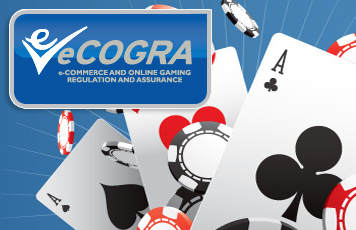 eCOGRA officials had the sad but necessary duty of suspending the “Safe and Fair” seals on six online casinos in the Casino Action / Tusk group early in the first quarter, when a review team conducting a routine onsite inspection discovered critical non-compliances with eGAPs pertaining to financial requirements. After careful consideration, the independent directors took the decision to issue a public statement announcing the suspensions; to do otherwise would have seriously detracted from the commitment of the organisation and its seal casinos to provide superior player protection and integrity-driven operational conduct. Shortly thereafter, Tusk told its software provider that it was to seek liquidation, vindicating the eCOGRA action. The software licensing was suspended, and Tusk made good on its word and is currently in liquidation. eCOGRA CEO Andrew Beveridge said that whilst the suspensions had been essential under the circumstances, it was sad that the company had been unable to survive its financial shortcomings. The incident had also highlighted the need for careful adherence to the financial eGAPs by operators, and to ensuring that reviews were not delayed or postponed. “We recommend that preparing for routine reviews and inspections by eCOGRA audit teams should be an integral part of management planning and the corporate diary,” Beveridge said. “Delays in receiving these important independent visits designed to safeguard both player and operator should only be requested in the most unusual circumstances, and preferably not at all,” he added. “Our central objective is to ensure that operations at “Safe and Fair” seal venues are just that – in other words player protection and maximum operator business efficiency.” eCOGRA’s objective is players trust! That is the most important thing to a player, to know the site they are on is safe and fair! !